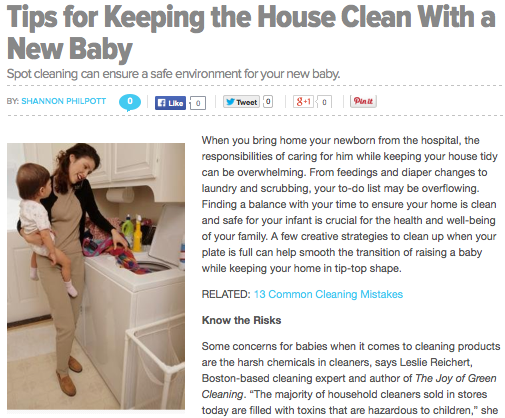 Spot cleaning can ensure a safe environment for your new baby. When you bring home your newborn from the hospital, the responsibilities of caring for him while keeping your house tidy can be overwhelming. From feedings and diaper changes to laundry and scrubbing, your to-do list may be overflowing. Finding a balance with your time to ensure your home is clean and safe for your infant is crucial for the health and well-being of your family. A few creative strategies to clean up when your plate is full can help smooth the transition of raising a baby while keeping your home in tip-top shape.